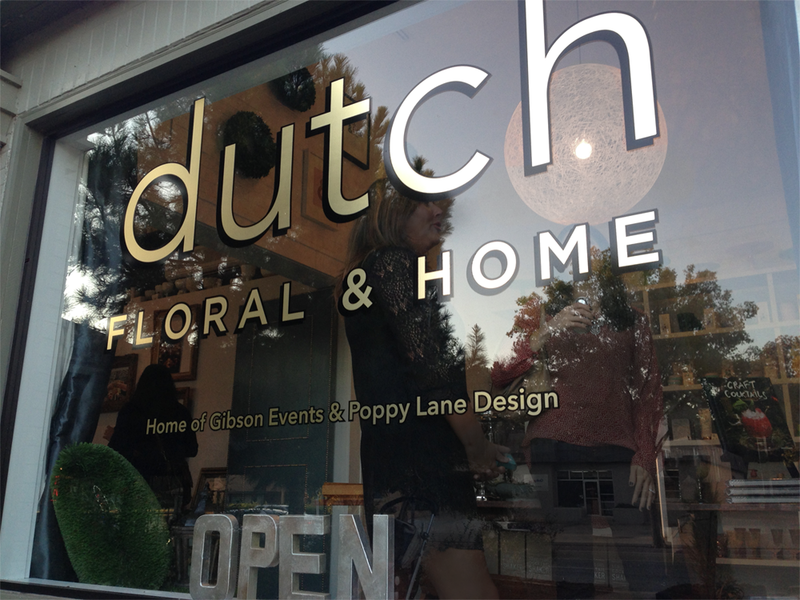 Dutch Floral & Home is a floral and home décor boutique in Oklahoma City. 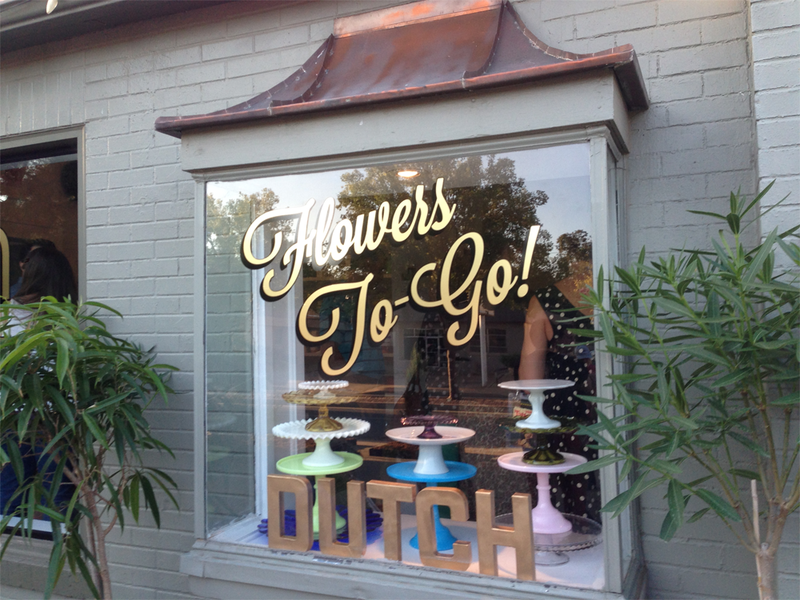 They wanted to be seen as the luxury provider of floral delivery, “flowers to-go” and home goods. They’re not new at this. Lindsay Gibson, who I’d worked with before, with The Ball & Chain event, is the most in-demand wedding and event planner in OKC (she helped with our wedding, of course). And Kelly Long runs Poppy Lane Design, a floral studio in OKC (who did the flowers at our wedding). 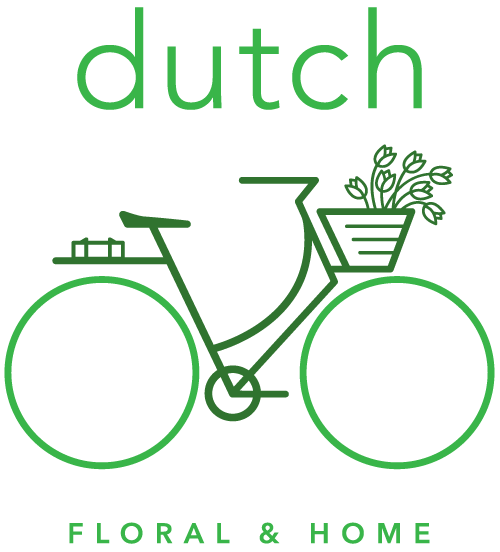 Dutch is the combination of their amazing talents. I was happy to contribute with logo, store signage and website. 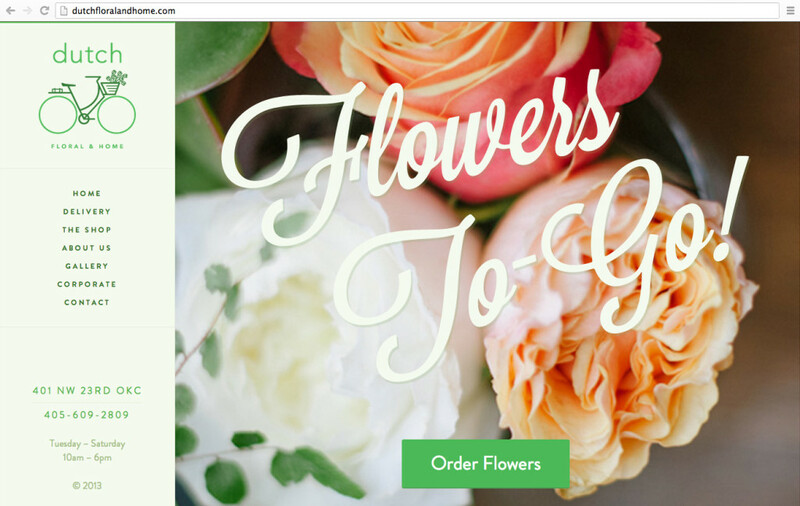 The website uses WordPress, and includes a way for people to order flower deliveries on the site. The signage is gold leaf installed (during the grand opening) by Clark Signs from Glenpool, Oklahoma.